Step into a world of style and comfort at the right price, the new Hotel Camino a Tamarindo offers the highest standard of personalized service and comfort for the corporate and leisure traveler. Situated in the heart of the north pacific of Costa Rica, easy to find and are the perfect jumping off point for visiting Beaches, National Parks, Volcanoes, Haciendas and many other exciting adventures in Guanacaste.Hotel Camino a Tamarindo, Hotel & Restaurant are only 45 minutes away from the new International Airport of Liberia so you can fly straight to your destination. 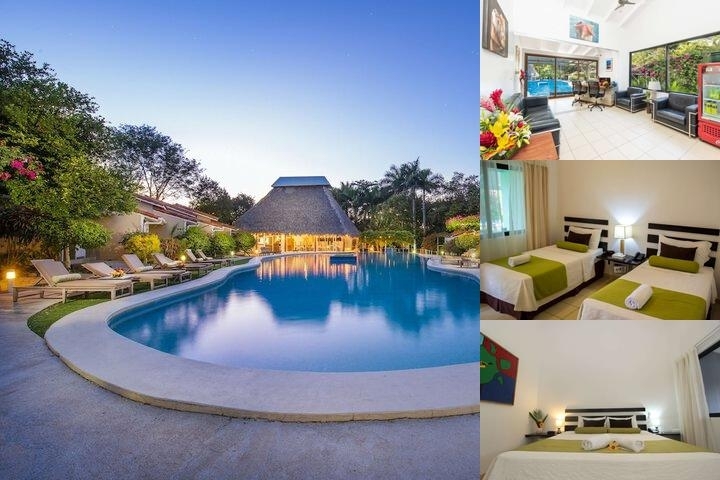 "Located 10 minutes drive from Tamarindo"Camino a Tamarindo Hotel & Restaurant is conveniently located close to many water activities including scuba diving, sailing and boating, snorkeling and jet skiing. Take a day trip and explore Tamarindo Beach, Flamingo Beach or Conchal Beach, all within 20 miles of the hotel. "Restaurant and Bar Service"We are also in close proximity to the lively nightlife, Casinos, Shopping, 2 Golf Courses and more. The Hotel Camino a Tamarindo is the best choice for best location, best value and best service. And now, the best just got better. Enjoy cocktails at the on site bar or dine at the hotel's restaurant featuring a variety of delicious dishes.